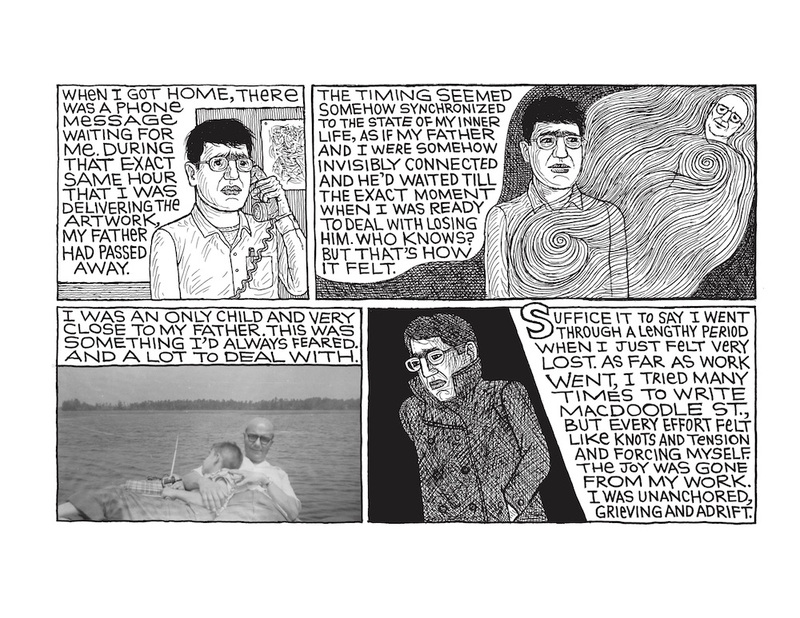 Mark Alan Stamaty’s Village Voice comic MacDoodle St. is unlike anything else in print. Each installment of the weekly strip, which ran from 1978 to 1979, is packed with sight gags and digressions, the panels near to bursting with recurring characters and critters. 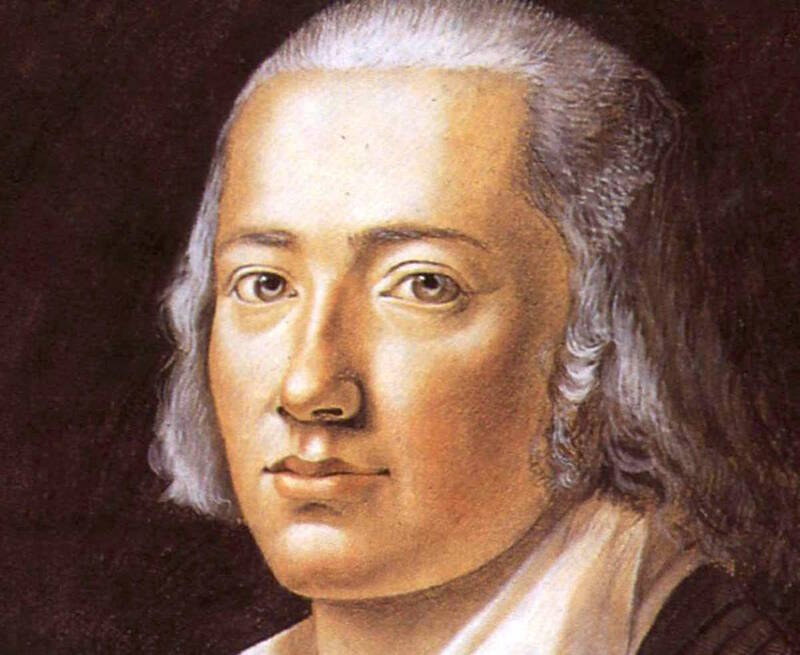 Through this chaos, though, zings an arrow of a plot. From week to week, Stamaty somehow finds a way to thread non sequiturs into a cohesive whole. Tossed-off jokes calcify into story beats, and Malcolm Frazzle, a doofy poet, bumbles his way into somehow saving the world. 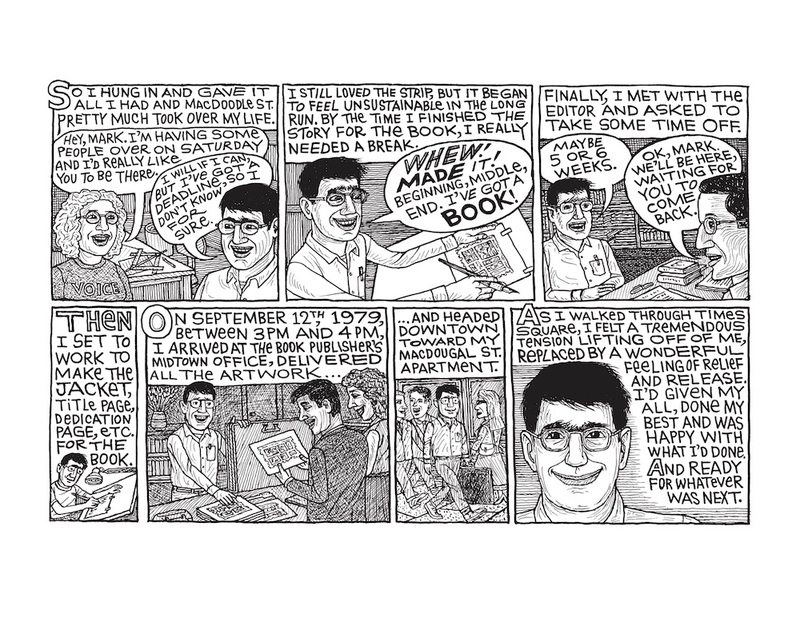 The final strip shows Malcolm and friends sailing out of the city on MacDoodle Airlines, promising to “be back after a while.” However, the strip never returned. 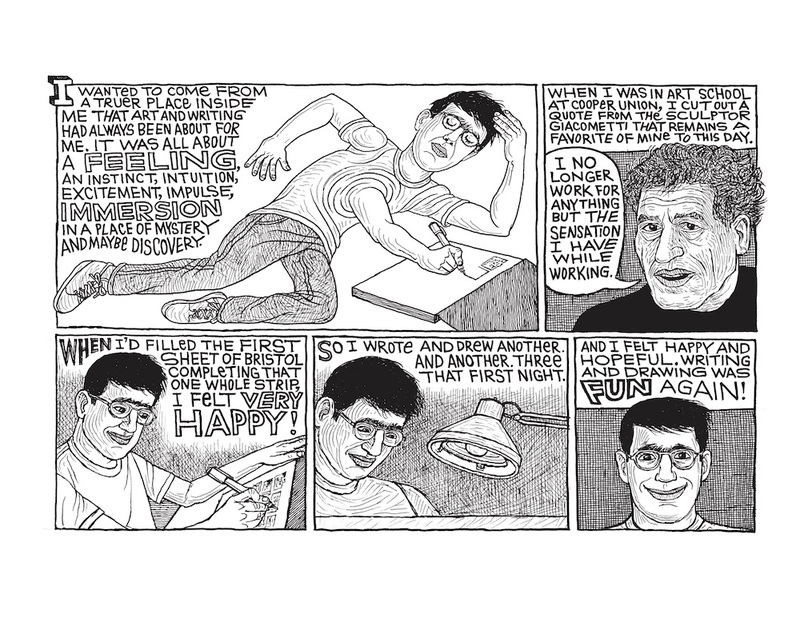 This week, New York Review Comics has reissued the complete MacDoodle St. in book form. 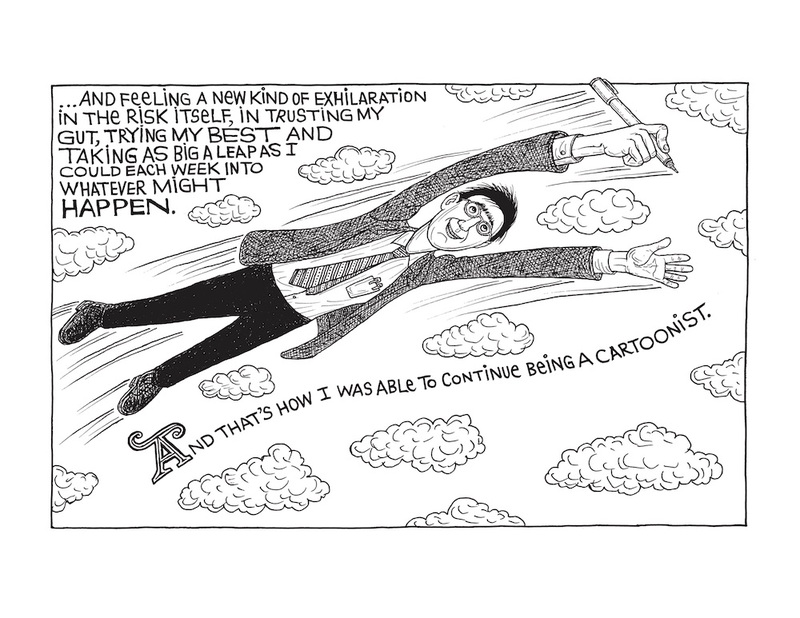 A new addendum, written forty years after the strip’s finale, reveals why Stamaty said goodbye to MacDoodle St. and how, in the process, he rediscovered the joy of being an artist. A portion of this addendum appears below. Mark Alan Stamaty is an acclaimed cartoonist and illustrator. His children’s books include Who Needs Donuts? (1973, 2003), Alia’s Mission (2005), Shake, Rattle & Turn That Noise Down! (2010), Small in the Saddle (1975), Minnie Maloney & Macaroni (1976), and Where’s My Hippopotamus? (1977). 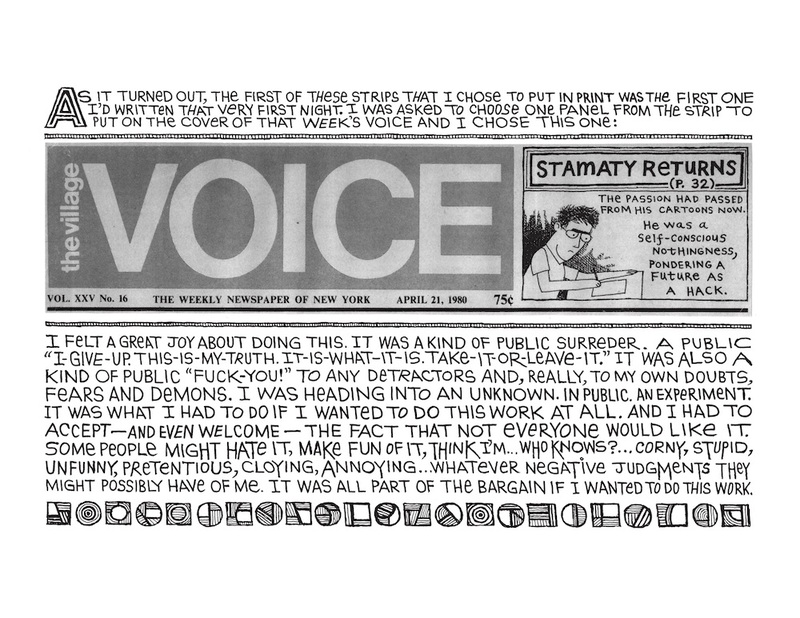 From 1977 to 1978, Stamaty’s panoramic centerfold cartoons of Greenwich Village and Times Square for the Village Voice attracted widespread attention and were sold by the Voice as posters; he then created a series of comic strips for that paper, including MacDoodle St. 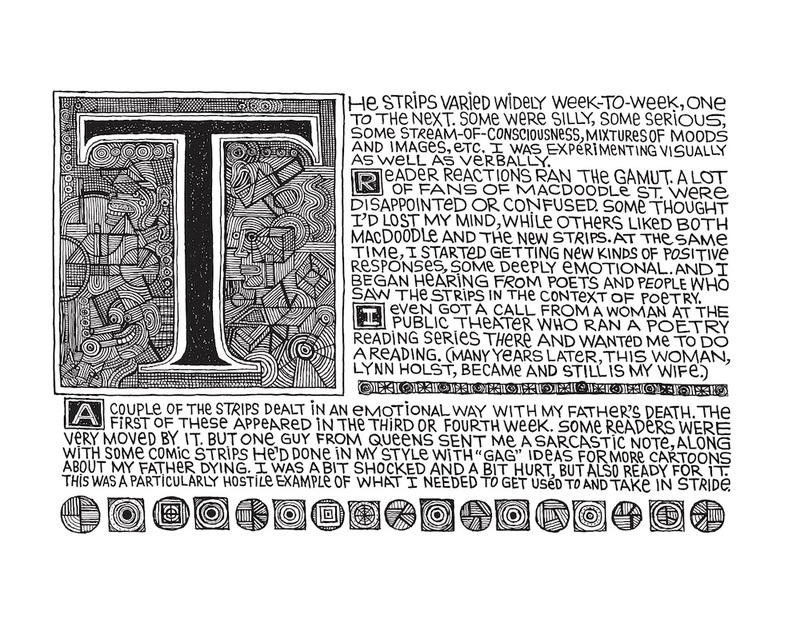 In 1981, he created the acclaimed political comic strip Washingtoon for the Voice and the Washington Post, and it was soon picked up by more than forty papers. 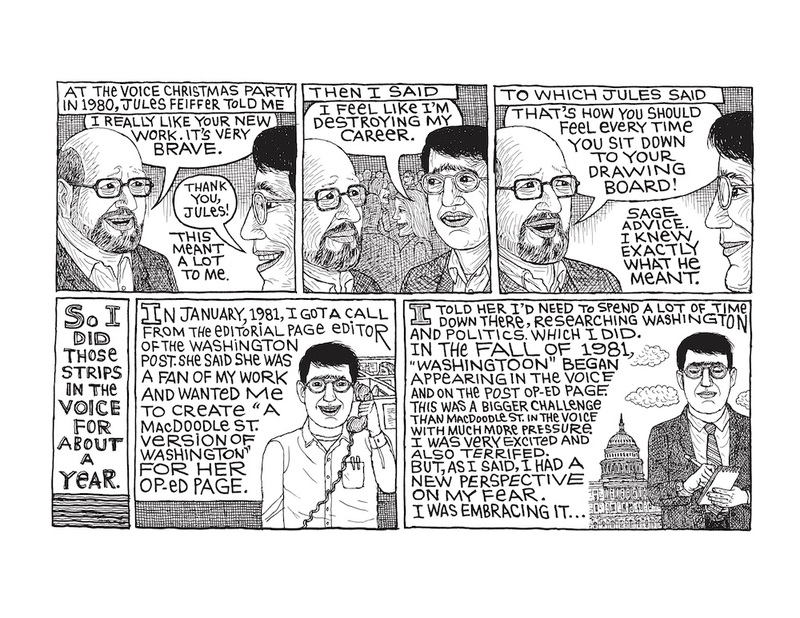 From 1994 to 1996, he was the political cartoonist for Time magazine, and from 2001 to 2003, he produced the monthly comic strip Boox for the New York Times Book Review. His cartoons, illustrations, covers, and comics reporting have appeared in The New Yorker, Harper’s, The New Republic, New York, GQ, and many other magazines and newspapers. His honors include two Gold Medals and two Silver Medals from the Society of Illustrators; the Premio Satira Politica Forte dei Marmi 2005 from the Museum of Satire and Caricature in Forte dei Marmi, Italy; a Page One Award from the Newspaper Guild of New York; and the Augustus Saint-Gaudens alumni career award from the Cooper Union. He was born in Brooklyn in 1947 and lives in New York. 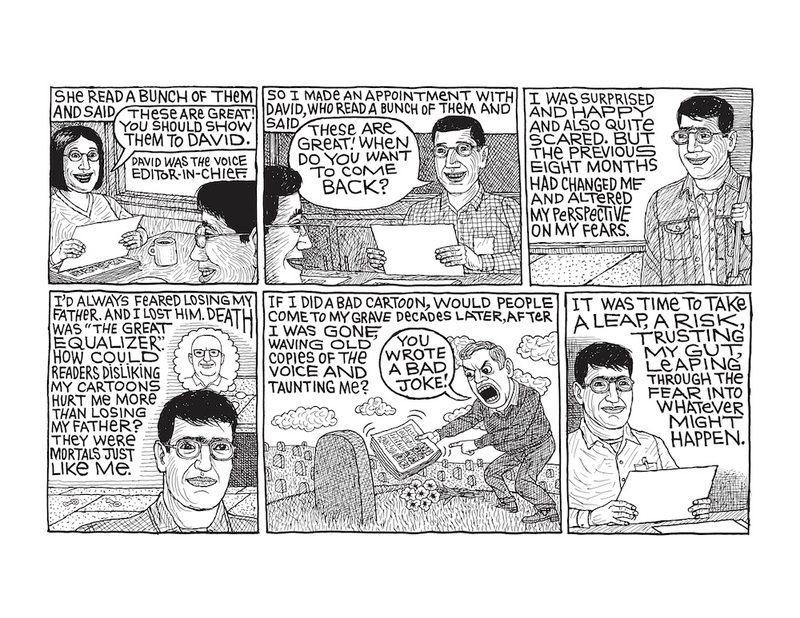 From MacDoodle St., by Mark Alan Stamaty, published by New York Review Comics. Copyright © 2019 by Mark Alan Stamaty.